We previously posted about our our place on the Recommended Agencies Register. Many of our customers may not be aware that we also belong to the UKITA network and what this means, so we’re taking this opportunity to discuss our approval as UKITA Quality Mark holders. Opace have been proud to be recognised as one of the top IT businesses in and around Birmingham to provide high quality web design and digital marketing to clients since 2011. The Opace team is delighted to be UKITA Quality Mark holders! 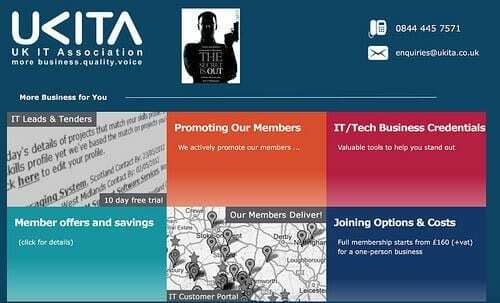 For those that don’t know, UKITA (UK IT Association) is a private sector organisation that is responsible for the development of the IT industry across the United Kingdom. The organisation was established in 1999 and the name United Kingdom IT Association was officially adopted in 2006. UKITA’s mission is to improve the UK IT industry for both businesses and clients. By providing region-wide support networks for members, they help to raise the quality, standards and image of IT service providers like us. The organisation is particularly passionate about supporting the development of small and medium sized businesses, a passion shared by our team. In addition to support, UKITA regularly provides business opportunities to all members, either directly or via collaborations. All UKITA members are required to abide to the organisation’s Code of Conduct. This code is designed to protect IT customers and clients, whilst also improving the standard of professionalism across the sector. Opace has long followed the organisation’s Code of Conduct and will continue to do so as a Quality Mark holder. The UK IT Association runs a Quality Mark scheme that benefits both members and businesses requiring IT services. UKITA operates an optional Quality Mark scheme for members. In order to be approved, members must complete the quality checks to prove they are delivering the high standards of service required by UKITA. We saw the value in becoming Quality Mark holders as it would help us provide evidence of the exceptional digital marketing services we offer to clients locally, nationally and internationally. The application process involved submitting our website, along with three detailed project testimonials to UKITA for their board members to assess. In order to pass the checks, our website needed to meet the legal and accessibility requirements. Our projects also needed to prove that we are able to deliver our services on time and within budget and that we’re capable of achieving high levels of customer satisfaction. 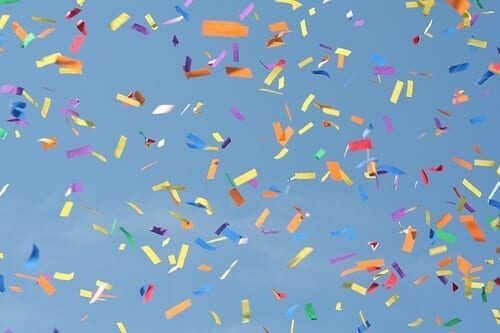 We are extremely pleased to say that Opace passed all of the quality checks with flying colours and were approved as a UKITA Quality Mark holder. This also led to our e-business and e-media Accredit UK trustmark, which we helped to formulate and test as pilot members of the scheme. You’ll struggle to find much information on Accredit UK now as the scheme has become part of the CompTIA Trustmark, but it aims to give similar assurances to UKITA, demonstrating member’s ability to provide quality services and sound business practices. As an approved Quality Mark holder, we have permission to use UKITA’s Quality Mark on our website and marketing materials. This is a testament to the quality services we provide and can go a long way in winning the trust of new clients. With so many different IT service providers out there, it can often be very difficult knowing whom to choose. The great thing about UKITA’s Quality Mark scheme is that it provides you with the sound knowledge that an IT company delivers a high standard of customer service. It will make choosing between companies much easier for you and eliminate some of the worries that come with a new IT service provider, such as reliability and quality of service. The team here at Opace is very much looking forward to continuation of our membership as a UKITA Quality Mark holder and the opportunities it provides. We thank all of our clients for their continued support.